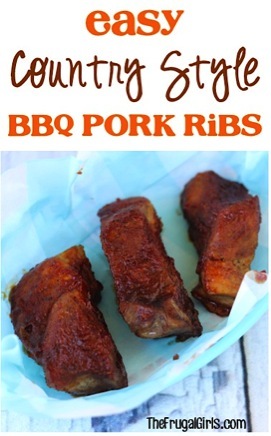 Easy Homemade Sweet BBQ Sauce Recipe! 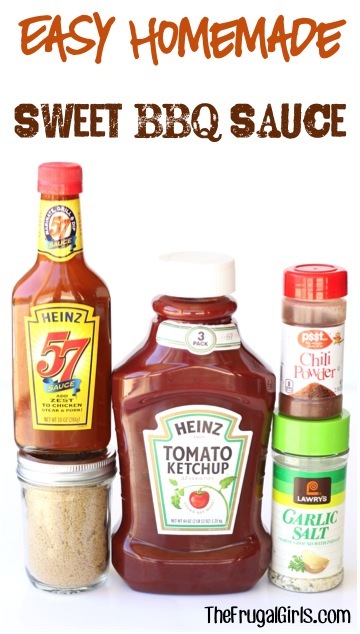 Make your very own barbecue sauce with this easy homemade Sweet BBQ Sauce Recipe! 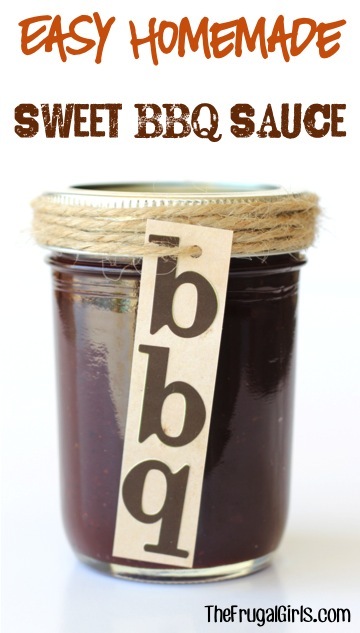 Making your own deliciously sweet Barbecue Sauce is a snap with this Easy Homemade Sweet BBQ Sauce Recipe! Combine all ingredients in a pan and bring to gentle boil. Turn to low and simmer for 5 minutes. 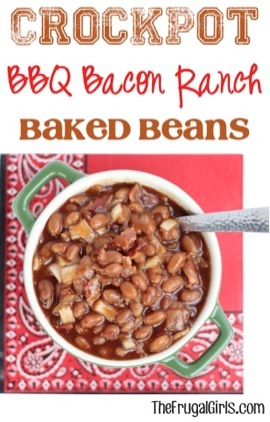 This variation adds a Hickory smack to your BBQ snack! Kick up the spice on your Homemade BBQ Sauce! 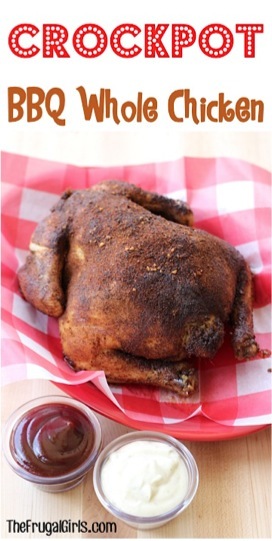 A delicious Barbecue Whole Chicken in the Crock Pot? Yup! Hi Heidi! 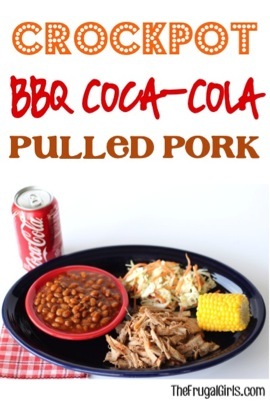 This recipe looks so simple and easy, I bet it is delicious! 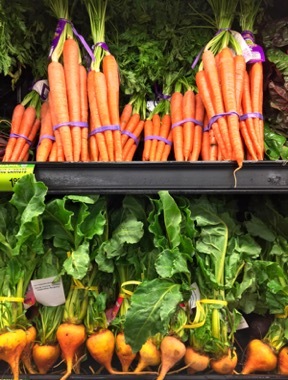 Before I make it though, I would like to know how long it will stay fresh? Thank you! Hi! This bbq sauce sounds yummy. I would like to make some ahead of time, how long will it keep in the refrigerator? i made a few of The Frugal Girls recipes. They are a great help and hit at my home. I will definitely make this. Just finish making your Sweet & Spicy Wings. Great. Just would like to know how long can I keep baba sauce in the fridge. 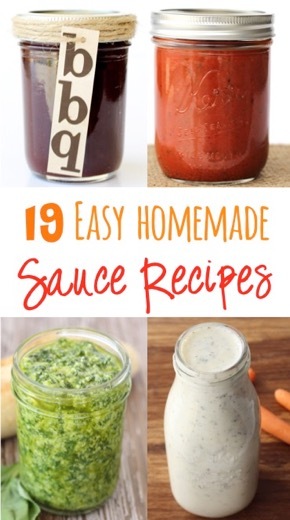 I never thought about making your own bbq sauce. It sounds good and easy to make.